Tying the knot with your significant other is certainly the most important moment of your life. And hosting it in the destination of your dream, will make your moment eternally most memorable. Well, we all know what exactly a destination wedding now, as we have heard a lot about destination wedding. 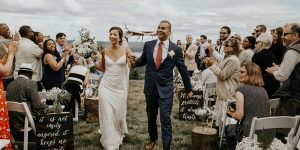 It is no less than a revolution for the wedding industry, as for a decade now it is so much in trend, it somewhat has become a dream for a couple to go for a destination wedding. There was a time when only rich or celebrities could host their weddings in some destination, today, it is reachable for common people too. Although the expenses go high as compared to the wedding in hometown but the quantum of charm and the excitement goes up too, which is worth it. 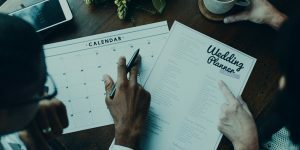 As the truth can’t be circumvent that the wedding is once in a lifetime event, and sometimes any expense seems worth it. So is the case of destination wedding, a wedding that takes place in a setting away from a hometown. If it is going to be big fat wedding than nothing could be better than a destination wedding. If you are also looking for some sort of fairy-tale wedding, be it amidst Island, Mountains, Rivers, Desert and Beaches, you can always look forward to destination wedding as it gives a special touch and feel to your dream wedding. A wedding away from the bustling city life. 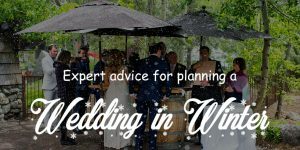 Off course, destination weddings are expensive affairs but weren’t you looking forward to a fairy-tale wedding since your childhood, then it is worth living your dream for once and all. 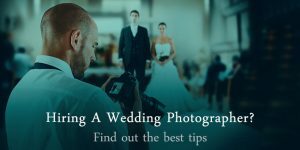 In a destination wedding you have to choose a distant place for your wedding, there are several factors to be taken care. But, the initial one is to finalize the destination for your wedding. Your destination should be booked well in advance in order to avoid last minute chaos, because chances are that your favorite destination will be booked already and then you will have to compromise with some other place. How about having a destination wedding in Goa, why not??? 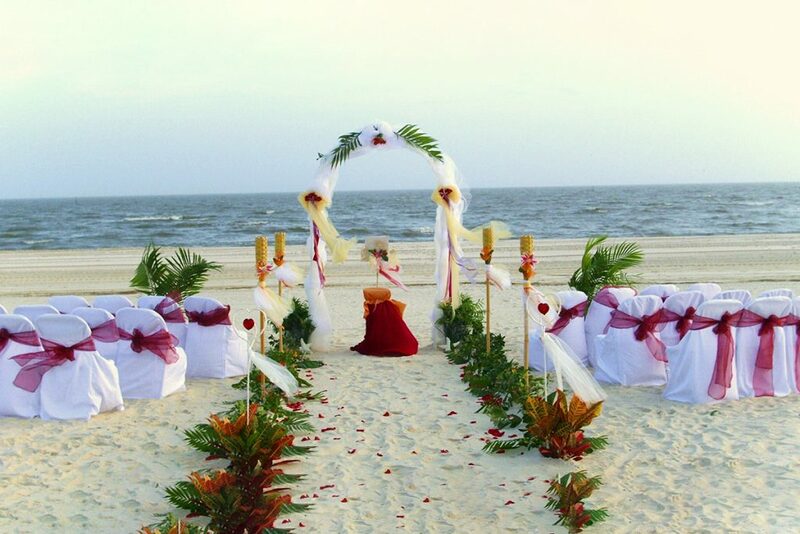 If you love beaches and always dreamt of having a fairy tale wedding beside some beach resort then surely Goa is a place for you to ring your wonderful, colorful wedding bells there. Earlier Goa was only a honeymoon destination and for some a destination for their vacations. But now it has become a beautiful destination wedding attraction. It will be a great idea to have wedding amidst beaches, beer, Goan delicacy, and what not, ‘a perfect idea to have a wonderful wedding full of fun, enjoyment in the company of best people your family and friends.’ Places which you can opt for celebrating your big day are: Stone Water Eco Resort, The LaLiT Golf & Spa Resort Goa, Golden Orchid Goa, The Zuri White Sands, Goa Marriott Resort & Spa, Silver Bells, Alva-Mar, George Bay etc. 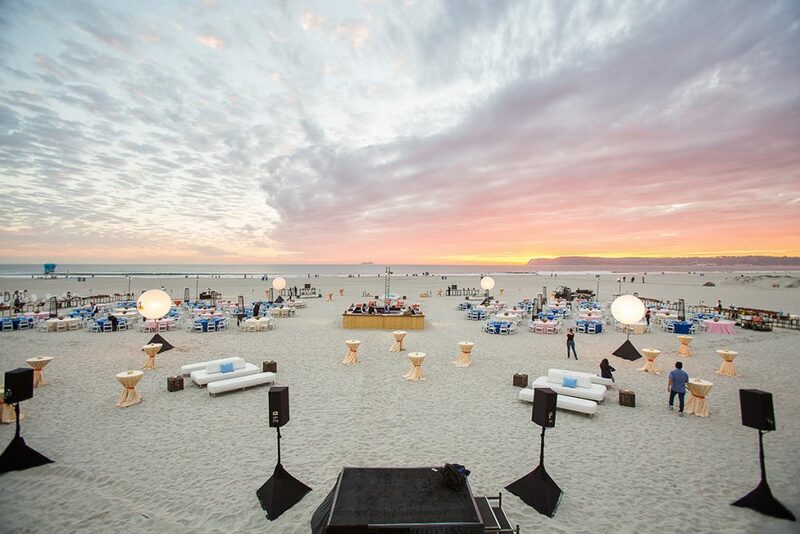 Once again apt for a beachy wedding in the lap of nature. Kerala offers a perfect blend of nature and beautiful weather amidst beaches and palm trees for your wedding along with the local delicacies of the place. You have a lot to explore in Kerala, beside a wedding destination Kerala is apt for your honeymoon too, if you are not looking forward to an International destination for your honeymoon as Kerala has too much to offer you. Undoubtedly, your wedding is going to be a talk for your guests even for longer time. There is no reason to rule out Kerala from the list. 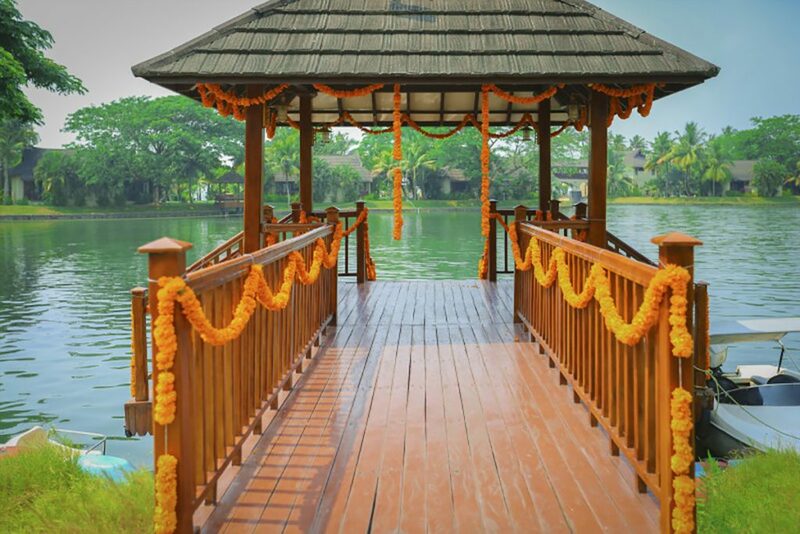 Super fantastic venues in Kerala are: The Zuri Kumarakom Kerala Resort and Spa, Kumarakom Lake Resort, Le Meridien, Kochi, The Leela Kempinski, Kovalam, Vedic Village Resort, Vasundhara Sarovar Premiere. 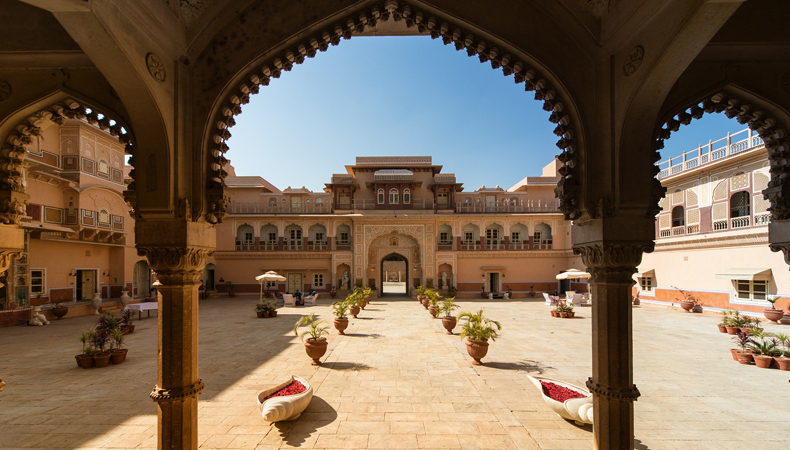 If you have a picture of some grand and royal wedding in mind and want to occupy your stage as some king and queen than this architecturally ostentatious and luxurious capital city of Rajasthan with gardens courtyards and museums also called pink city would be apt for you to go ahead with. 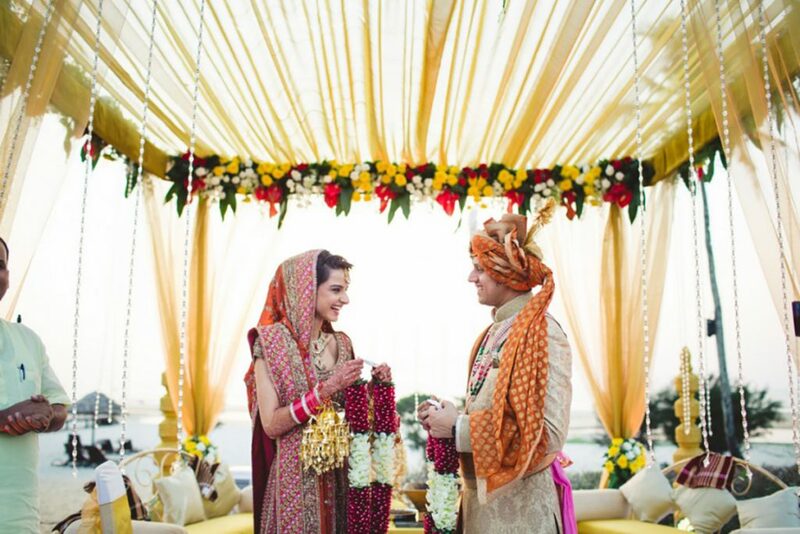 Today, Jaipur is considered as the top wedding destination in India. 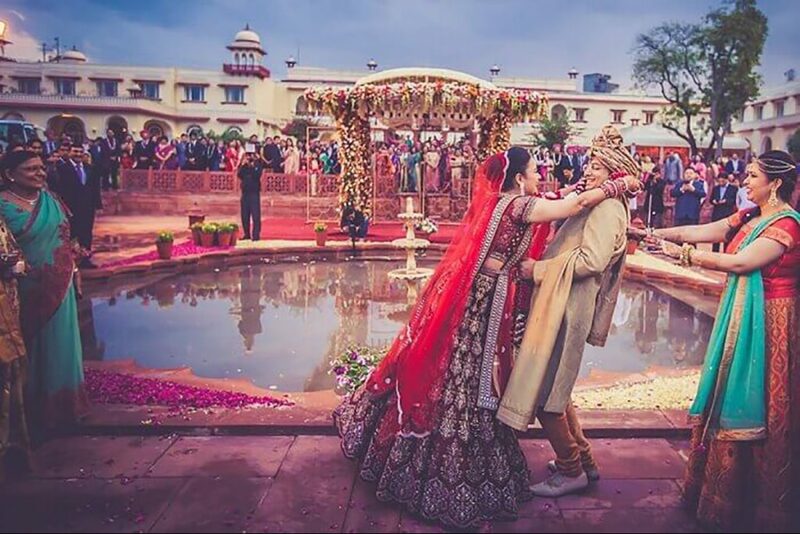 And you have all the good reasons to choose Jaipur as your wedding destination, as the city is loaded with most enchanting wedding venues, to ensure your wedding to be the best and an unforgettable one for you. 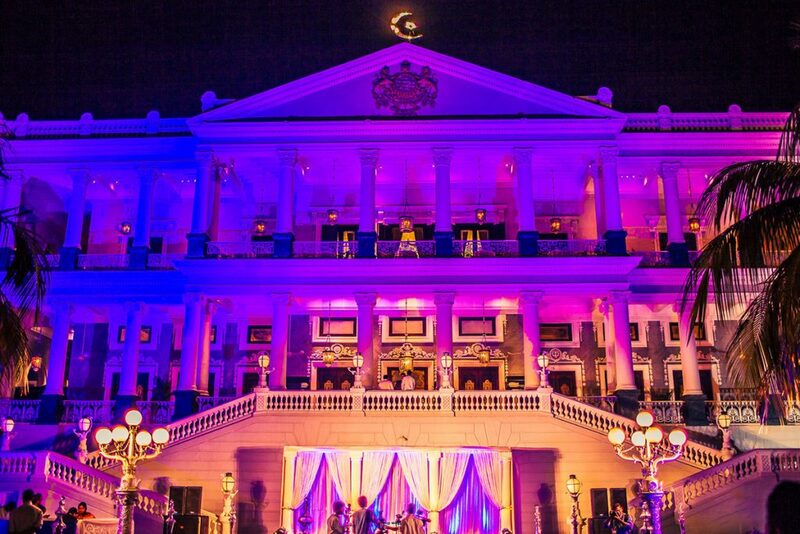 Here are few top venues in Jaipur that can make your dream come true of a fairy-tale wedding. No wonders that your guests will remember your wedding as some grand occasion in their lives. There are multitude options available for you in Jaipur to have a big fat wedding. 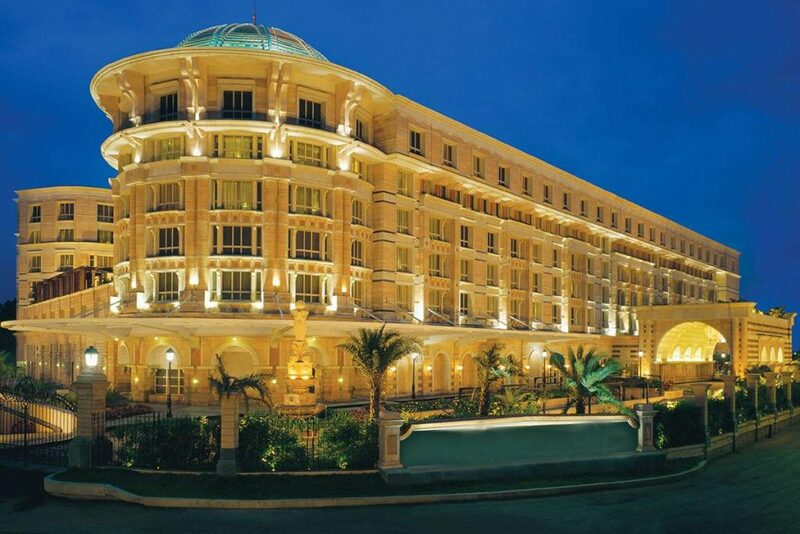 Few are: Le Meridian, Shahpura Palace, Jaipur Marriott Hotel, Clarks Amer, Fairmont, Samode Palace, Gold Palace, Shiv Vilas etc. Another destination in Rajasthan is Udaipur formerly was the capital of Mewar Kingdom. 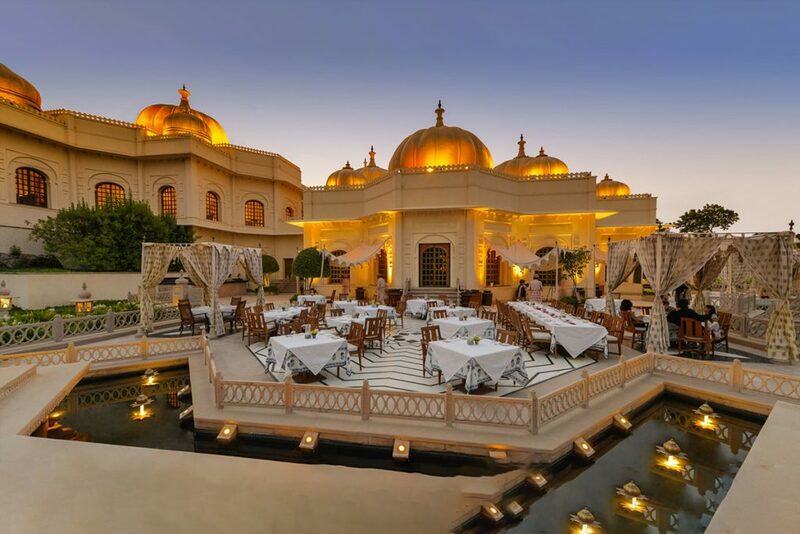 City named after its founder Maharana Udai Singh II in 1559, Udaipur is the city for you to host a classy wedding amidst beautiful magnificent royal palaces and lakes, to make your wedding more memorable forever. 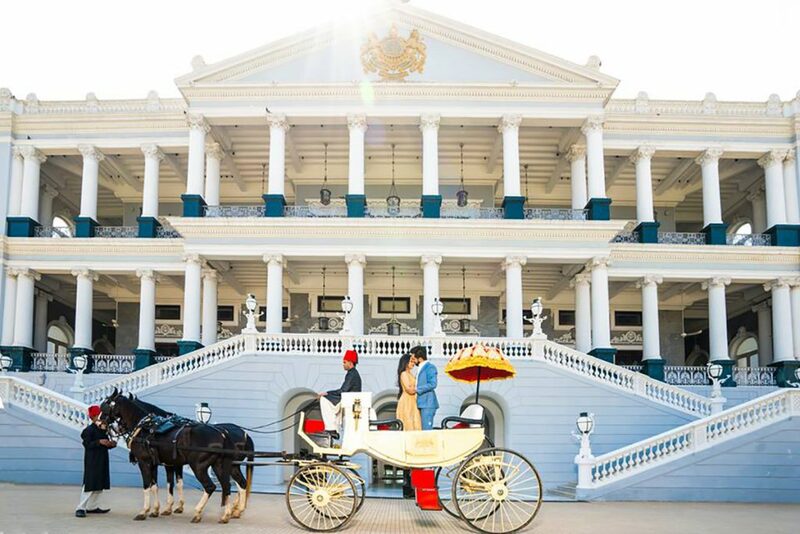 Your wedding in any of these forts and palaces, and the luxurious aura of the hotels will surely make your destination wedding a classy affair for everyone to boast about! 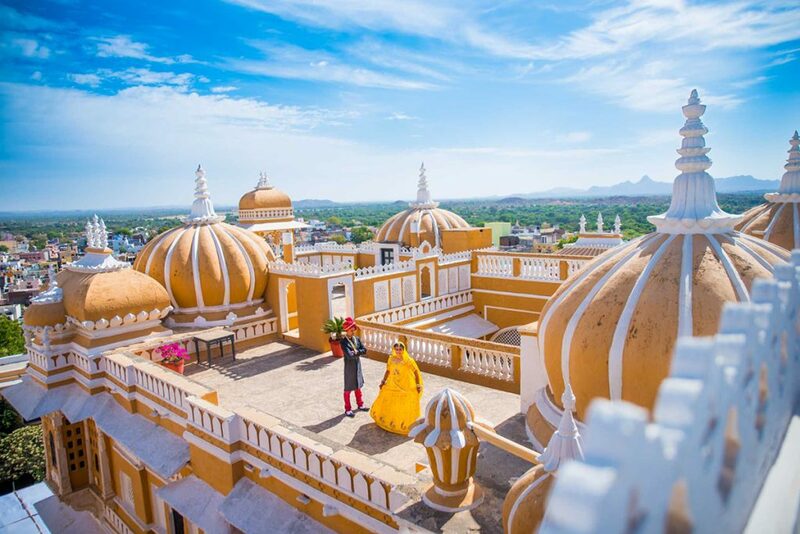 Udaipur makes for the most idyllic location to have a destination wedding to make worth it. This city offers a lot of venue options from royal palaces and forts to luxury and value for money hotels, to let you experience a royal wedding of your dream. Venues to choose from are: Jagmandir Island Palace, The Leela Palace Udiapur, Taj Lake Palace, The Lalit Laxmi Niwas Palace, The Oberoi Udaivilas etc. 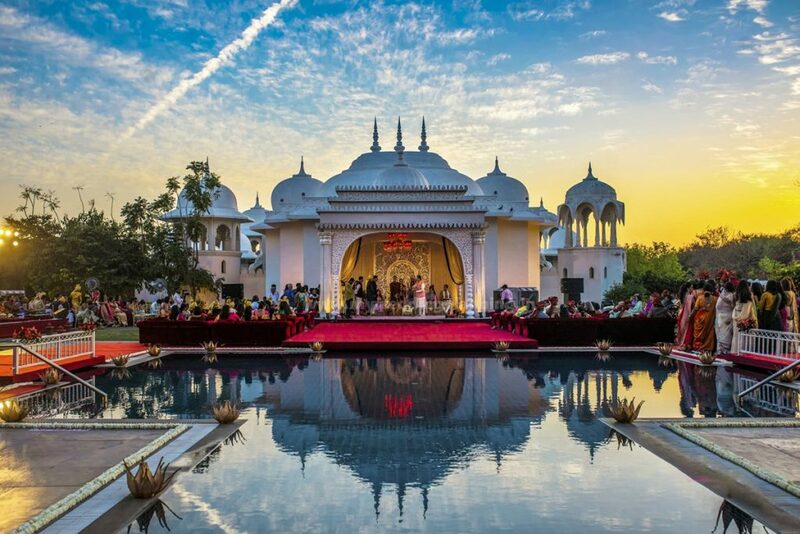 One more destination from Rajasthan to host your wedding in a royal way amidst forts, desert, lake and palaces to make overall wedding a memorable event for the guests and off course hosts too, to cherish those beautiful moments throughout! Jaisalmer is perfect location for a destination wedding as it adds a lot from its culturally captivating ceremonies along with Rajasthani folk music playing in the background. 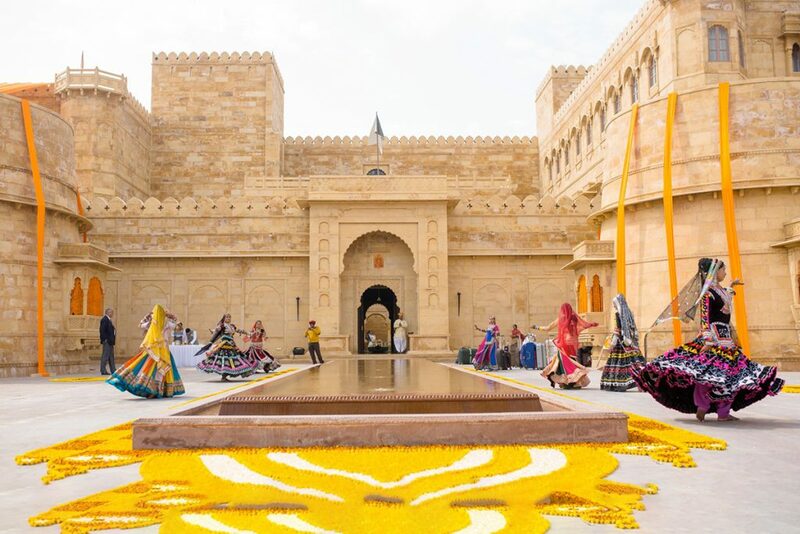 Indeed, Jaisalmer is the ultimate place to host a grand destination wedding in India. Also, not to forget the wedding pictures, which the royal charm and grandeur of the wedding place add dandiness to. Venues to choose from: Jaisalmer Marriott Resort & Spa, Fort Rajwada, Suryagarh Jaisalmer, Desert Wedding Resort etc. 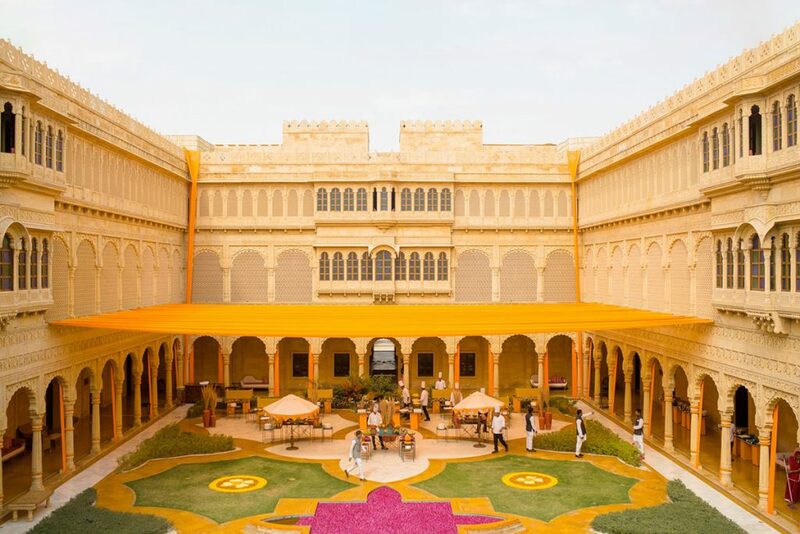 Jodhpur or Sun city, an illuminating jewel of Rajasthan’s crown, a destination to have one of the splendid wedding experience amidst the desert, chants of the priest, swirling sands, a super majestic wedding for the people to talk about for years. Isn’t it fascinating? Yes, exactly how you dreamt of hosting a wedding. 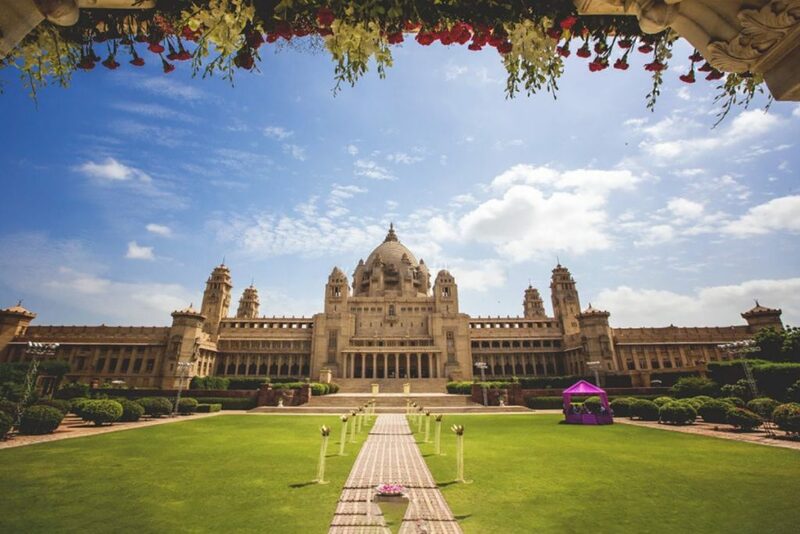 The mighty city of great Thar Desert, Jodhpur or Sun City is the biggest royal wedding destination in India. 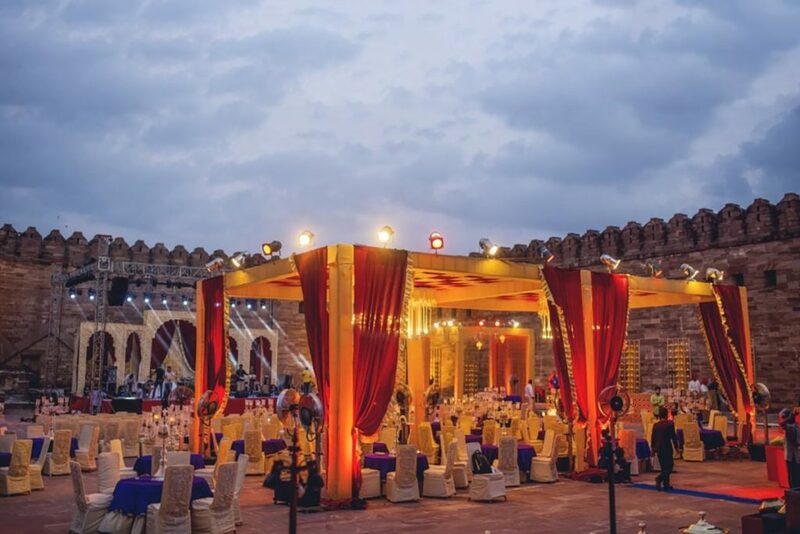 Jodhpur has myriads of options to choose from for your dream wedding that not only reflects the culture of heroism but also serves the chance to host fairy-tale weddings with customized budgets. There’s nothing as grandiose as getting married in Jodhpur. 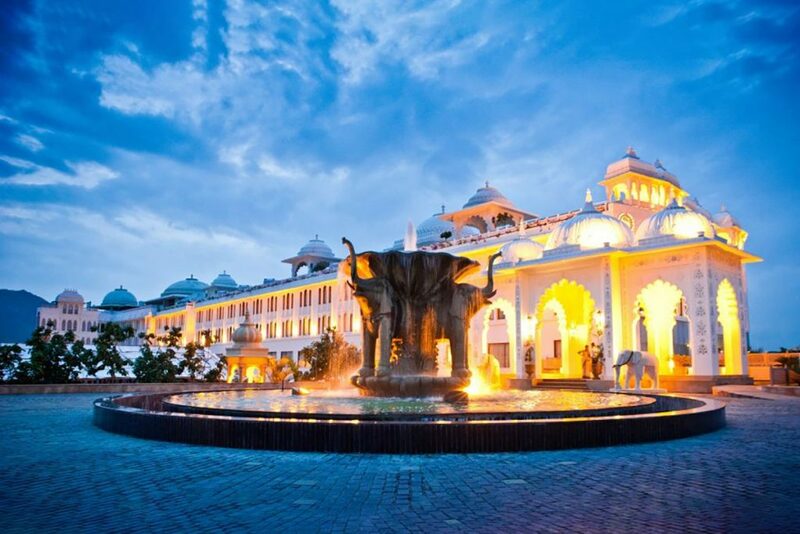 Venues in The Sun City are: Umaid Bhawan Palace, Sita Mahal Marriage Hall, Indiana Palace Jodhpur, Ranbanka Palace, etc. 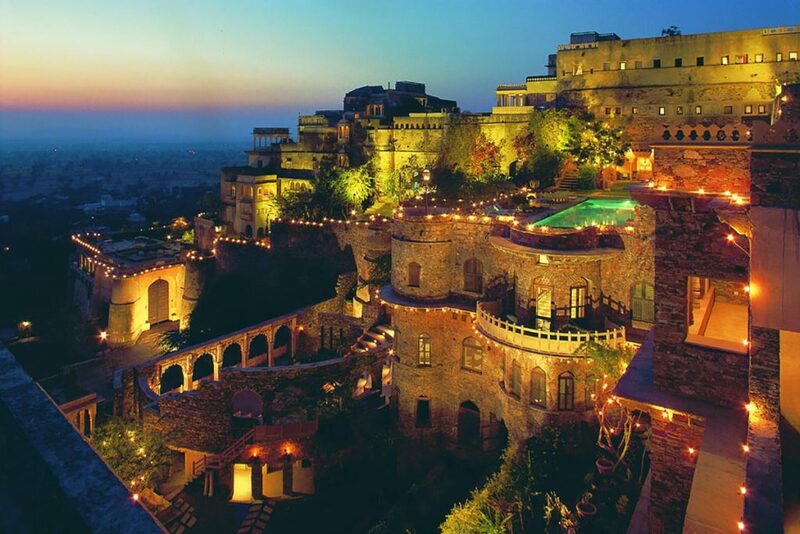 Neemrana is yet another exotic paradise for royal weddings in Rajasthan, not too far from Gurugram. The town is famous for its forts, and many heritages properties, apt for organizing a wedding. A wedding in such a picturesque setting will remain unforgettable forever. You can enjoy the wedding to the fullest. 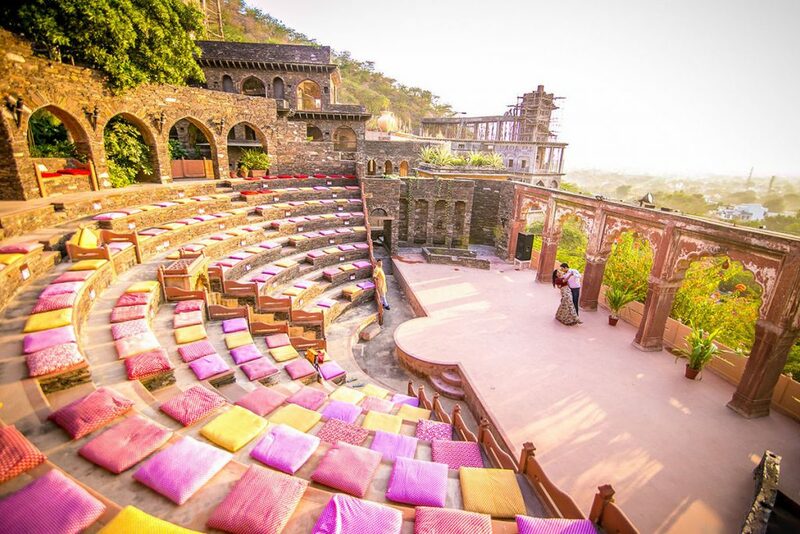 Venue: Neemrana Fort – Palace, Kings Court Banquet, Siddhi Vinayak Marriage Garden. This sprawling metropolis is not only the seat of the Bollywood film industry but also famous as tourist attractions for decades now. If you have dreamt of getting married in Maharashtra there are motley places to go ahead with for your wedding, you can explore Khandala, Lonavala and Alibaug for your exotic wedding. These destinations are not just tourist attractions anymore now have become famous for their explicit weddings. Khandala a beautiful small hill station in the western ghat region and famous for Sunset Point and Rajmachi Fort, not only this even so many movies and serials are shot here. I clearly remember Shilpa Shetty’s grand wedding in Khandala. Lonavala, is another destination for your wedding in Maharashtra and it is very close to Khandala, in fact Lonavala is the only market for Khandala people. Both Lonavala and Khandala lies on Mumbai-Pune highway and mesmerizingly beautiful and famous tourist attractions, besides that renowned wedding destination as well. Wedding venues in Lonavala and Khandala are: Dukes Retreat Resort, Picaddle Resort by Meritas – Lonavala, Mystica Resort, Serenity Resort. Alibaug, a coastal town in the south of Mumbai, very well known for its perfect scenic beauty and beaches. For those who want to go for beachy wedding, can anytime explore Alibaug for their wedding. The place is swamped with beaches and many beautiful resorts for a normal stay or for a lavish destination wedding. Alibaug has numerous beaches and just a few minutes’ drive away. 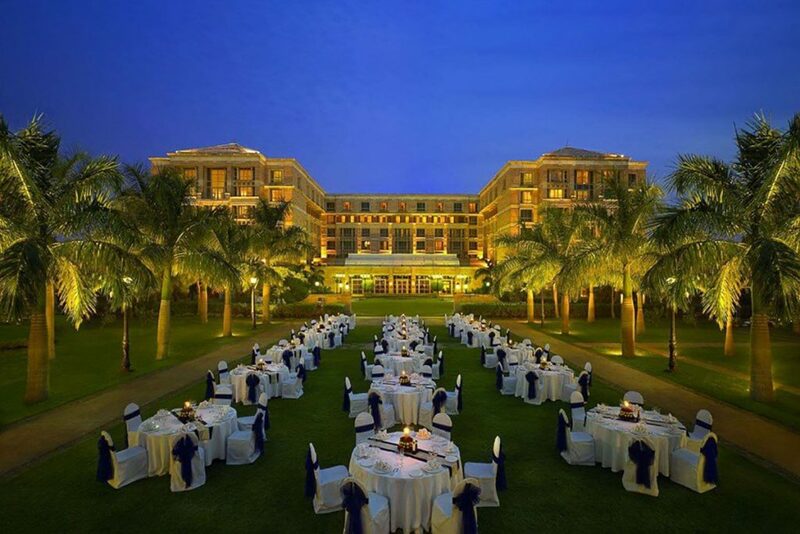 Wedding venues in Alibaug can be: Radisson Blu Resort & Spa, there are other banquet halls too you can explore. 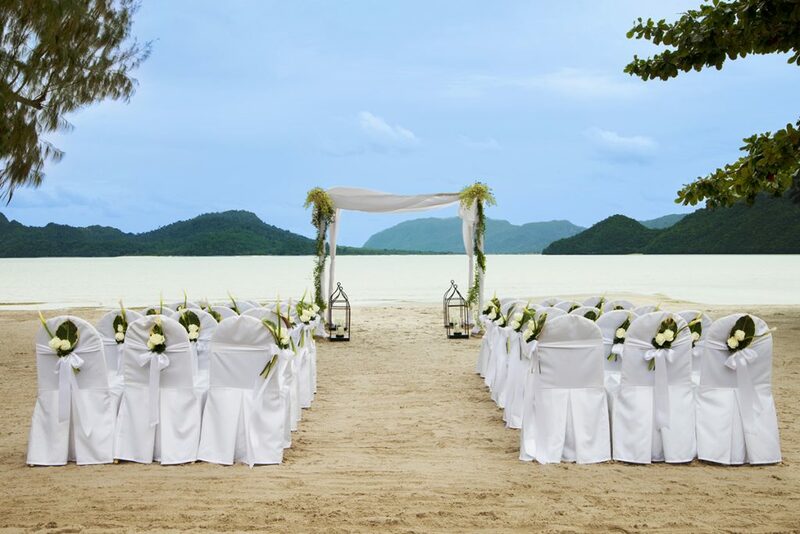 If ever you dreamt of your wedding in some Island than nothing could be any better than Andaman. A beautiful Island very well known for their palm-lined, white-sand beaches, mangroves and tropical rainforests. Wedding in the lap of such a beautiful Island would be no less than a dream for one. If you are a couple who love adventures than besides, wedding you can also look ahead to it as your honeymoon destination as there are several such adventurous activities to explore with your better half. Just give a try to the place and experience it to the fullest, you will surely fall in love with it and your guests will thank you for hosting your wedding in such a great place on earth. The Island is nested with beautiful resorts in and around. 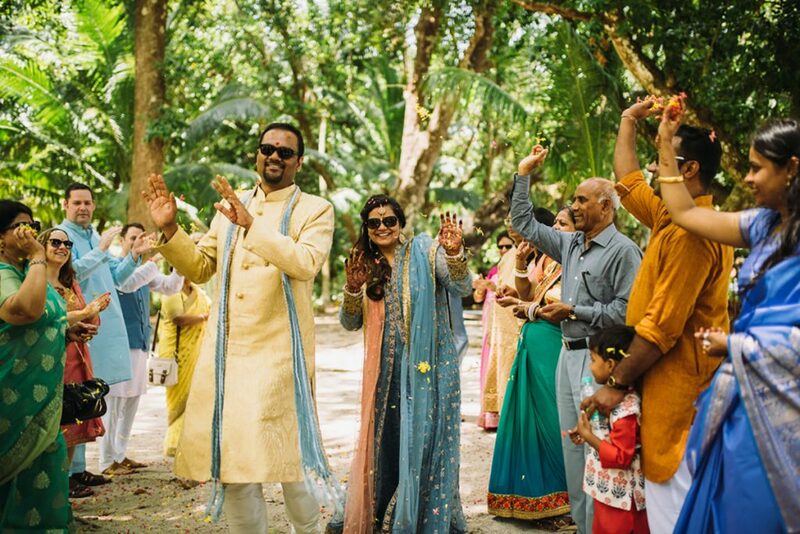 Venues are: Peerless Resort, Havelock Island, Fortune Resort Bay Island, Port Blair, you will get sundry options in Andaman once you finally make you mind to go ahead with the Island for your wedding. How about getting Wed-Locked in the city of Nizams. Yes, I am very much talking about Hyderabad, capital city of Telangana State, City famous for its historic sights and mouth-watering Hyderabadi cuisine. Wedding in Hyderabad and the first thing comes in mind is Hyderabadi Biryani, which nobody wants to miss if he is in the city. You wed there and see how you and your guests will fall in love with cuisine and the whole Nizami style venue. If you always have been close to the history and loved historic places than Hyderabad can add to your wedding in much better way, absolutely Shahi Style Wedding. Wedding venues in Hyderabad are: Novotel Hyderabad Airport, Shamshabad, Taj Falaknuma Palace, Falaknuma, Hyderabad, N Convention Madhapur, Fort Grand Shamshabad, Taj Deccan Hyderabad Banjara Hills, Taj Krishna Banjara Hills etc. 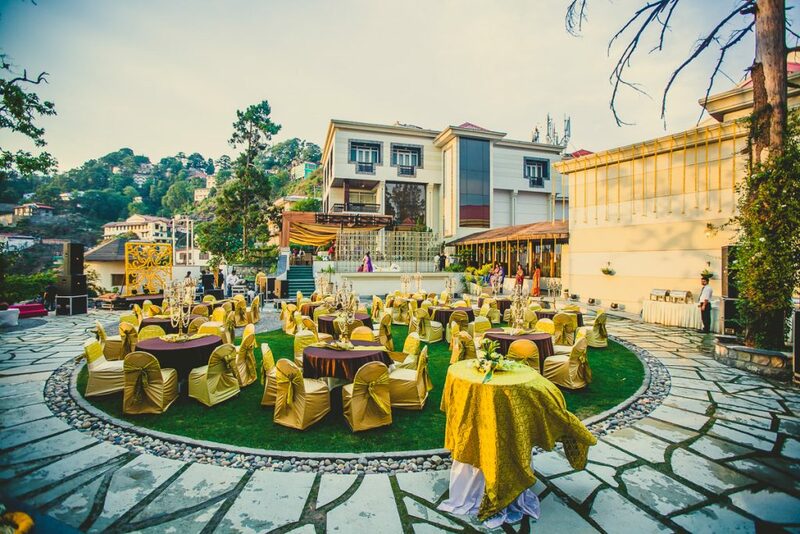 The idea of hosting your wedding in Dev bhoomi perhaps glitters your eyes, if you have love for hill station than Rishikesh, the holy city of Uttarakhand famous for river rafting and para gliding, environed by mountains, temples, priests chanting mantras, verses. You taking wedding vows amidst mesmerizing river Ganga. 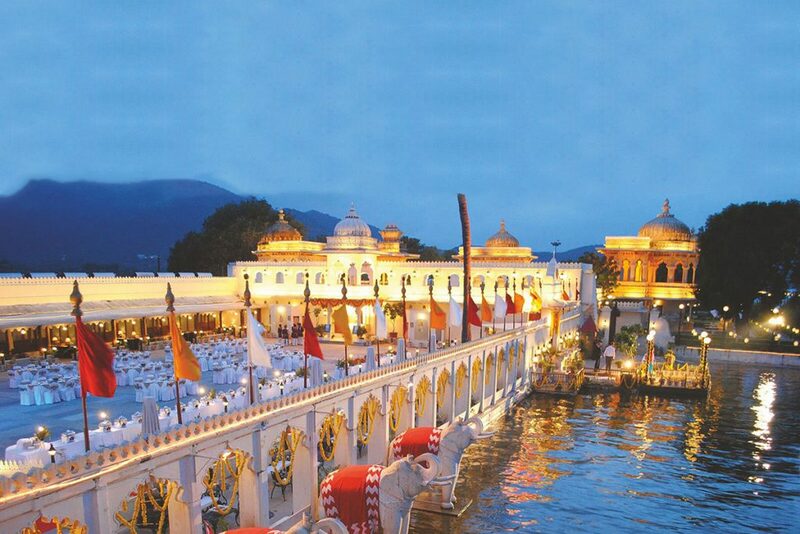 When it comes to celebrating wedding on hills, there’s nothing better than Hrishikesh. Other attractions to go for destination wedding in hills are Chopta, Bhimtal, Auli, Mussoorie, Binsar, Dehradun, Jim Corbett National Park, Lansdowne, Pauri, and Ranikhet. You can get tailored budget for your wedding in Uttarakhand as few of the areas are not much explored yet. 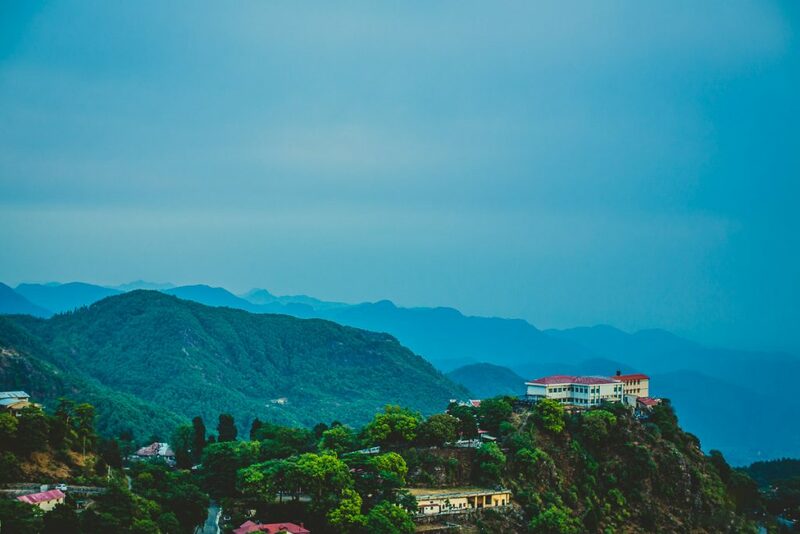 There are many locations in the area to choose for your destination wedding like: Nine Palms Garden, Wedding Points Dehradun, JW Marriott Mussoorie Walnut Grove Resort & Spa, The Palms Resort,Aloha on the Ganges etc. Above mentioned places are very well known for their beauty, culture, cuisine, music, and much more. All of the places are well connected to the international airports of major cities like Delhi, and Mumbai, well connected to the roads and railways which add up to the convenience and strikes off one of the major concerns of your destination wedding. Tie your wed-lock the way you have been dreaming for years now and don’t forget to make it the talk for years in your family and your guests. Besides these names mentioned above you can always know online about other places and can get tailored budgets. You can either book yourself or go through a wedding planner services as they are experts in their services, there are affordable services which includes wedding venue finding (as per your choice and preference),wedding decoration, wedding band, Mehndi & Ladies Sangeet (Musical Evening) decoration & planning, wedding catering everything related to your wedding, for that matter. Your and your guests job will be to enjoy only rest is taken care by your vendor. All you need is to contact them, talk to them, and tell them what exactly you are looking forward to host your grand wedding. Everything you need will be a call away. You can easily get destination weddings packages online be it a destination beach weddings or a destination Island wedding you have all sort of best places for hosting your destination wedding in different destination wedding locations.